Carestream Dental has been operating as a standalone company providing imaging, software and practice management solutions to the dental profession since 2007, but its roots extend more than a century back. With ties to industry leaders such as PracticeWorks Systems, Trophy Radiologie and Eastman Kodak, Carestream Dental has been undergoing a rebrand campaign to firmly establish the company itself, its products and its people. This initiative included an ad campaign to raise awareness for the brand, new product launches to further the recognition, and, most recently, shedding the Kodak name from software and imaging equipment to align all products under the CS brand identity. Today, the company is excitedly looking toward the future. 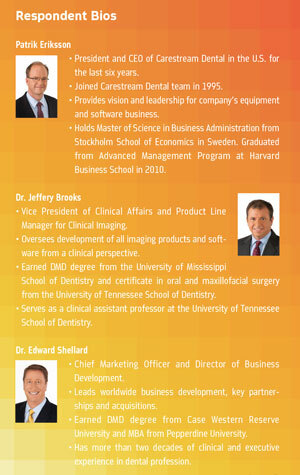 To learn more about Carestream Dental’s past, present and future, Dentaltown Magazine spoke with U.S. President and CEO Patrik Eriksson, Chief Marketing Officer and Director of Business Development Dr. Edward Shellard, and Vice President of Clinical Affairs and Product Line Manager for Clinical Imaging Dr. Jeffery Brooks. Gentlemen, thank you for taking the time out of your busy schedules to talk with us. Carestream Dental has been in the dental market for a long time. When and how did it get its start? Eriksson: Carestream Dental is the result of many companies that have joined forces over time through partnerships and acquisitions, and we all work together as one company toward our common goal of redefining expertise for dental practitioners. Carestream Dental’s roots date back to 1896 when the world’s first bitewing image was taken. Later, in 1919, the first modern dental X-ray film was introduced by Eastman. For the next several decades, our predecessors, Kodak and Trophy, continued to innovate in dental imaging – introducing extra-oral radiographic film, digital radiography sensors and systems, and more. Despite our growth as a global company, we’ve kept our small-business feel in regard to our customers. This mindset drives us to always want to understand exactly what our customers are experiencing, and we work fast to respond and introduce new solutions that address their needs. In January this year, Eastman Kodak filed for bankruptcy. Because Carestream Dental and Kodak were closely connected in name, how did Eastman Kodak’s bankruptcy announcement affect you? Eriksson: In 2007, the Kodak Health Group became an independent company called Carestream. As an independent company, we became solely responsible for manufacturing, selling and supporting our products and solutions; however, we continued to license the Kodak name for our products due to the brand recognition. Then on September 1, 2010, we introduced the Carestream Dental brand and logo that represent the future of our company. At the beginning of 2011, we introduced our first product with the CS brand, the CS 9300, our flagship cone beam computed tomography (CBCT) unit, and stopped using the Kodak name on most of our products. Eastman Kodak’s bankruptcy has created an opportunity for us to share our company’s history of innovation with customers, potential customers and others in the industry. It has allowed us to have conversations about who we are and what we offer, as well as create awareness for our brand by telling our story. What is Carestream Dental’s business philosophy? Eriksson: We are focused on simplifying the lives of practitioners by providing them with tools that make their lives easier and improve the health of their patients. Also key to our business philosophy is the desire to share our technology with people who cannot afford proper dental treatment. We regularly donate or loan our products to, and have members of our team serve during, various Mission of Mercy events nationally, Mercy Ships missions internationally and other service initiatives. How does Carestream Dental set itself apart from its competition? Eriksson: A key differentiator between Carestream Dental and our competitors is that we design, develop, manufacture, sell and support our broad portfolio of products. While we got our start offering imaging products, over the years we have expanded to also offer software and practice management solutions, including our robust collection of electronic services. We build our imaging products from the ground up, and we develop our software in-house. We do this because we want to make sure that our products work seamlessly together and that we are ultimately providing integrated solutions for the integrated practices of today and tomorrow. Brooks: Also, due to our strong, clinical foundation as a company, product development at Carestream Dental is clinically driven. We work to make sure that our customers get the full diagnostic potential out of all of our imaging solutions. How is Carestream Dental branding itself today? Eriksson: As a company, we are working to position Carestream Dental based on three pillars that describe our distinguishing characteristics in the industry – diagnostic excellence, workflow integration and humanized technology. Together, these create the Carestream Dental Factor (www.carestreamdental.com/factor). Tell me about your team. What’s the culture like at Carestream Dental? Eriksson: Our team is made up of a diverse group of people. A portion of our team is clinically anchored, meaning they are long-tenured and experienced in the dental industry whether practicing themselves or teaching in an academic setting. Another part of our team is made up of seasoned business professionals who know how to strengthen and grow a company. Our team is rounded out by the younger people we bring into the mix to drive our company’s innovation and push the status quo. Our team is passionate about driving innovation in the dental industry. We strive to develop solutions that are not on par or subpar, but rather products that set the bar when it comes to fulfilling clinicians’ diagnostic needs. Not only is our team passionate about what we do every day, but we are comprised of individuals who are results-driven. We understand that dentists always want the best test results and treatment outcomes for their patients. Therefore, our team has a sense of purpose developing our products because we know that we are helping to improve patients’ lives. Now, let’s talk products. Describe your research and development process. 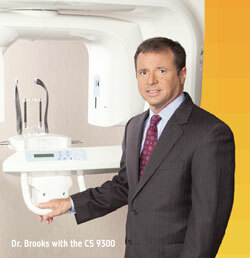 Brooks: Carestream Dental products are designed by clinicians, for clinicians. Because we are clinicians ourselves, are friends with practitioners or are exposed to the technology in an academic environment, we have insight into the needs of the industry. We are also able to identify needs by having conversations with our customers directly, by way of their sales representatives or through our support channels. Shellard: We enjoy working closely with dentists and want others to get involved in the development of our products, so we can continue to deliver solutions that provide more precise diagnoses, improved workflows and superior patient care. Brooks: By working with dentists directly, we can identify the clinical gap. We then work to articulate the gap to our developers, which leads to the gap being closed. Shellard: The process of product development is very focused. Once we’re in the process itself, we use a series of gates – regulatory, manufacturing, legal/patents, marketing, sales and training – to manage the development. What can a practice expect when it purchases a product from Carestream Dental? Eriksson: When a product is purchased, our team installs the product in the practice and trains the entire team on how to use it. Training ensures that practices are using the product in the most optimal way, and it can be conducted online, onsite or a combination of the two. Carestream Dental also offers its Advantage Plan, a comprehensive support program that meets the needs of any practice. Our team has created a better customer experience for our end users by having only one company for them to go to for support, rather than having to identify the correct group to reach out to with questions. We have a help desk in Atlanta, Georgia, that has 250 specially trained agents. Customers can find the appropriate number to call by visiting www.carestreamdental.com/support. When customers call, they are routed to the correct skill group for their question. A support representative then works with customers to identify and diagnose what issue they are encountering. Our support representatives are experienced enough to understand doctors’ needs. We are very proud of our first-call resolution rate, which boasts a track record of resolving more than 85 percent of issues doctors or their teams have on the first call. Think about the company’s most significant accomplishment. Can you tell us all about it? Eriksson: Our most significant accomplishment has been to give customers the ability to change patients’ lives. One way we’ve accomplished this is by developing a focused-field 3D unit. Introduced in 2007, the CS 9000 3D extra-oral imaging system was the first of a new generation of 3D imaging systems created specifically for dental professionals. The system combines high-resolution, low-dose panoramic and 3D imaging exams at an affordable price. With the CS 9000 3D, clinicians around the world are able to diagnose conditions that were not possible to diagnose in the past with 2D imaging alone. Not only does 3D imaging offer phenomenal image quality, but it greatly enhances practitioners’ diagnostic ability. The unit also improves treatment planning and creates a better patient experience. You claim seven out of 10 practitioners use your products globally – which of your products has the most market share? To what do you attribute Carestream Dental’s successful penetration in dentistry? Shellard: Both our analog (film) and digital (RVG) intraoral imaging products are widely used across the industry, and we are market share leaders in CBCT globally. 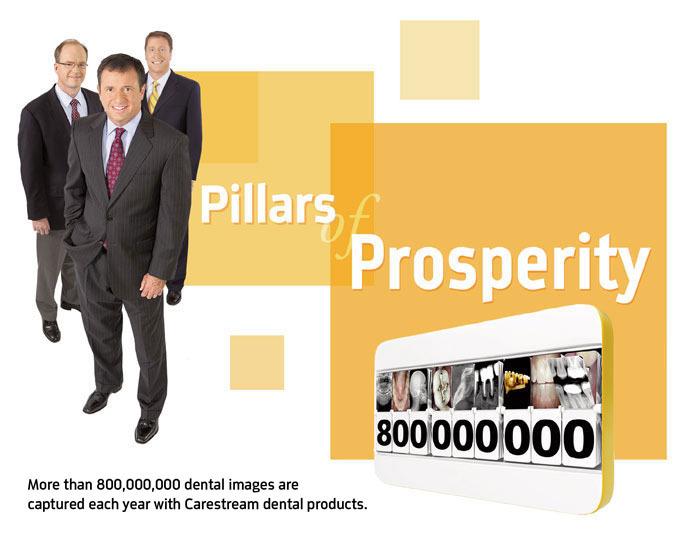 Altogether, our imaging products account for more than 800,000,000 of all dental images that are captured each year. At Carestream Dental, we have a deep and intimate understanding of how practices work. Identifying the needs, frustrations and desires of practices, and then addressing them in the products and technologies that we develop, have led to our successful penetration in dentistry. We gain this understanding through our voice of customer work, which is pivotal to all the products we develop. We make it a point to spend time in our customers’ practices to watch how they work and learn what they’d like to see improved. We also collect customer input through surveys, thought leader meetings and an annual users’ conference that we hold specifically for our dental general practitioners. Carestream Dental was a pioneer in digital radiography in the early 1980s. How has the field changed since then, and how are you able to keep pushing the boundaries of digital imaging today? Shellard: Since the advent of our RVG sensor in 1982 (the world’s first digital intra-oral radiography sensor), the two biggest changes in the field have been that the technology is now more mainstream in practices, and there are many more competitors in the space. Digital is now a given in our lives. Not only do we work on computers now, but we also interact with other digital platforms such as our smartphones and digital tablets like iPads. Now, this is how we can look at images, too – directly on screens. Last year The New York Times published an article about the danger of X-ray radiation in dentistry. How has Carestream Dental addressed this concern? Brooks: In my opinion, CBCT is the single, biggest breakthrough in dentistry as it allows practitioners to gain immediate access to accurate 3D images of anatomical structures, which are often critical to precise diagnoses, more effective treatment planning and increased case acceptance. Carestream Dental advocates adherence to the ALARA Principle (as low as reasonably achievable), and we are committed to educating dental professionals about the benefits of CBCT, as well as how to use it safely for the maximum benefit of patients. 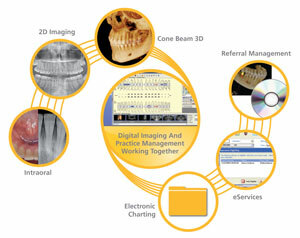 Carestream Dental seems to pride itself on workflow integration. How do your products best work together? Shellard: We design our products, software and solutions to work with each other. When we first begin developing a new product or upgrading an existing product, we think about how it will fit in the dental practice and work with other products we already make. This is the key to our development process. Also, the extensive troubleshooting we do to ensure that our products work hand-in-hand is evident as soon as practices start using our solutions and experiencing an integrated workflow. We also create our solutions with open architecture as much as possible in an effort to try to make our products work with competitive products as well. 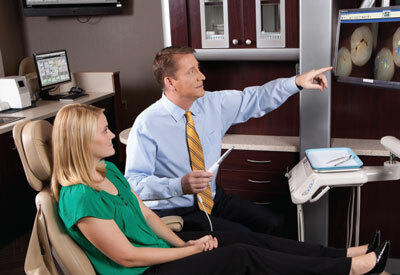 For more information about Carestream Dental, visit www.carestreamdental.com or call 800-944-6365.